An important activity in ERI is organizing Farmer Field Days together with implementing farmer groups. Those events give farmers a chance to showcase their achievements, such as field experiments, market innovations, practices for sustainable agriculture or food security, to fellow farmers and other stakeholders. 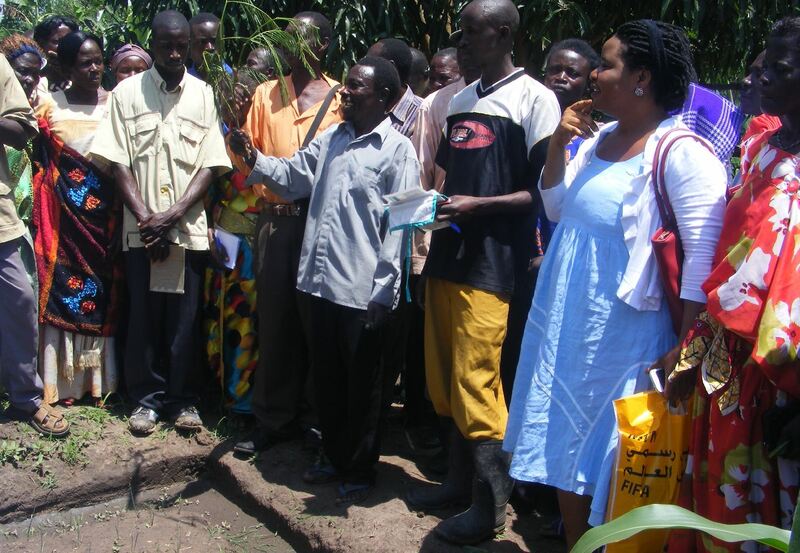 Farmer Field Days are typically hosted by farmers themselves with some assistance from organizations in the ERI projects. The host farmers share information and farming practices with participants and engage in discussions to learn from each other. Two of HORIZONT3000’s partner organizations in the ERI East Africa Project, Safe Neighborhood Foundation (SNF) and Caritas MADDO, have organized Farmer Field Days recently. In addition to activities on the field, a drama show was organized by a group affiliated to SNF to drive home messages on VSLA, gender, group saving, group marketing and the sustainable agriculture.